· We are a family run business based in Kent for over 25 years providing various calligraphy services throughout the UK. · Through our team of calligraphers, we pride ourselves in providing a professional calligraphy service for that special occasion such as a weddings, parties or corporate events. We also supply handmade place cards with beautiful calligraphy. 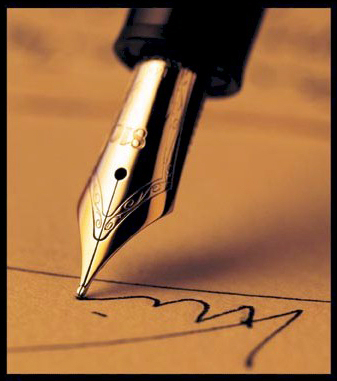 · If you are looking for a special gift, why not say it with the written word in the form of a poem or verse? · Preserve your heritage in style for future generations by having your family tree handwritten in calligraphy so the time and effort of your research can be displayed not filed away in a drawer. · Why not add the finishing touches to your wedding invitations. We can offer you a bespoke calligraphy service providing a unique personal finish to your wedding stationery. · A choice of handwriting styles and ink colours are available to match with your stationery style. If you require any further information or you are interested in calling on our calligraphy service, please don't hesitate to contact us. Kindly note that this is a United Kingdom service only!